“Halo: New Beginnings” Leaked Images Are Fake! 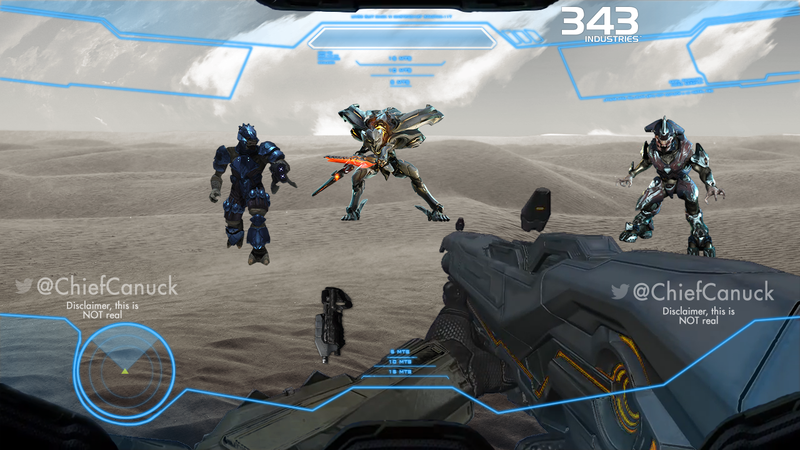 Four leaked images surfaced for a game claimed to be called Halo: New Beginnings. However, after close examination the images are fake. But the story could be true, as it involves a popular Mendicant Bias theory and follows Master Chief after the events of Halo 4 as he searches for Halsey to bring back Cortana. Now we cannot outright say that the attached story is false, many Mendicant Bias theories are floating around right now. For those who don’t know Mendicant Bias was the most advanced Forerunner AI at the time who eventually went rampant but rumors from a Halo 3 terminal mention that Mendicant Bias may be able to overcome rampancy; which could lead to a possible solution that Master Chief may be seeking to restore Cortana. The creator of the images even contacted me via Twitter asking for credit in fooling the community. Here’s a photoshop image I created in 10 minutes showing how easy it is to fool the community There you have it, you can’t always believe what you read on the internet. However, I’m curious to hear your thoughts on a potential storyline involving Mendicant bias. Leave a comment and let me know. – Chief… I hope I don’t have to do this every time a “leaked” photo is released. A round up on the noteworthy “Halo 5” (or Halo on Xbox One) rumors from 2013. Spanning from talks of the Arbiter and the Brutes returning, in-game ranks, Xbox One impulse triggers, and potential episodic story line or game mode in the absence of Spartan Ops Season 2. Keep in mind, Halo on Xbox One is still a work in progress and the title is still TBA. It may not be a part of the original trilogy announced, since the Reclaimer trilogy is now the Reclaimer Saga.